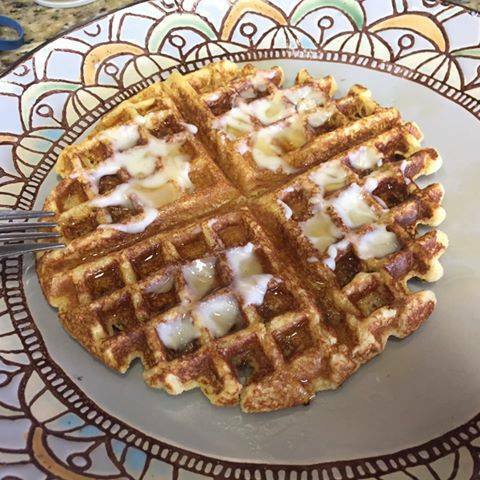 One of the members on my group, Dr. Sebi - The Original Mucusless Diet, wrote an article for waffles. I have taken his recipe and changed it to suit my needs. I have experimented and this final recipe was the best with added walnuts. Let me know why you think. Put everything in the blender and blend on high speed. Heat your waffle iron up. I spray on non-stick spray. Once the light comes on that it is ready to be used, pour in the batter. You can top your waffle with fruit or some more agave. These are very delicious and this batter makes two waffles. It is just the right size. For a large family you can double the recipe or even triple.